Admit it, we all have some (or many) photos in our iPhone that we don’t want outsiders to see. And even thought the stock Photos app in iPhone has gone significant improvements with innovative features like the Markup – there is still room for improvement. 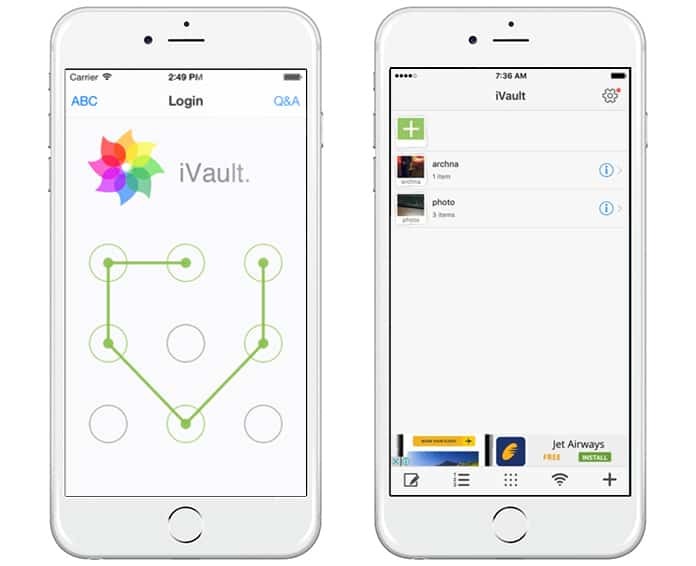 The good news is that there are some cool photo vault apps for iPhone that will enable you to protect your photos with a password. This will not only keep the prying eyes away from your personal pictures but also give you a sense of peace knowing your vulnerable data is safe. The best part about these photo vault apps is that most of them are free to download. What more can you ask for? Here are some of the best photo vault apps for iPhone. Apart from protecting your personal images and videos, the “Lock Photos Album & Videos” app allows users to save their voice recordings, messages, documents, and much more. You can also store and view word files, PowerPoint presentations, Excel sheets, and PDF files through the app. In short, the app is your one stop for all files that you wish to protect from prying eyes. And the best thing is that this app is free to download. The “Private Photo Vault” is one of the best apps to protect photographs behind a password or a pattern. A separate album can also be made in the app that allows users to manage pics and share them via message or email. The best feature about the app is that it comes with a bonus option that secretly takes a photo of the person who tries to break into your secret vault. You can also track their GPS location if someone ever tries to steal your vulnerable data. 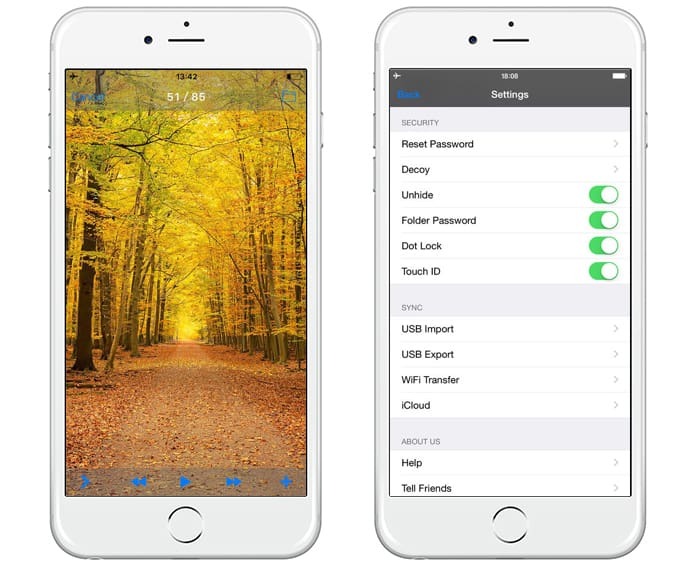 The app works similarly as Photo Lock Vault while also allowing you to hide personal notes from prying eyes. Calculator + Hide Secret Photos also has an option to conceal some of your contacts from appearing on the address book. Additionally, the app allows users to store website bookmarks for private surfing of the web. Similar to the other apps mentioned above, this one also allows users to hide their private photographs, notes, documents, presentations, and contacts. It also comes with a feature to import photos directly from Drop Box and Google drive in a separate folder for more protection. You can download this app from App Store for free. No one will be able to guess your media is locked away behind a calculator. 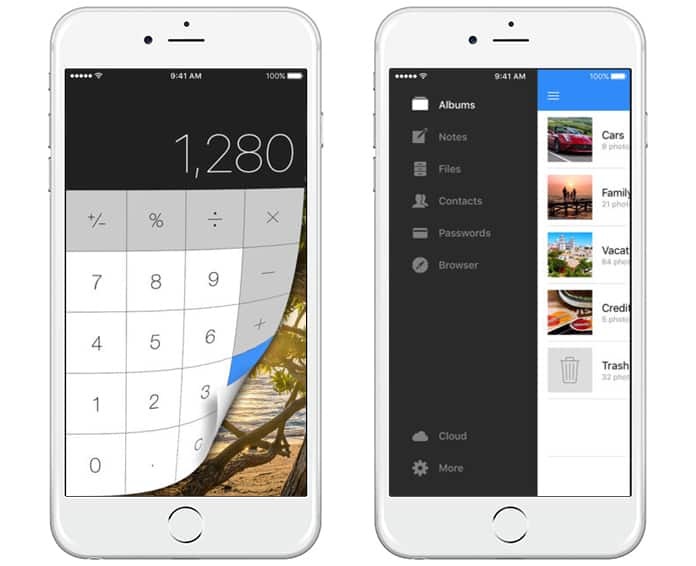 Yes, that’s right, the Photo Lock Vault is a full-functioning calculator app where you can only access your photos when typed the secret code. Just like other photo vault apps, this one also allows users to manage their pictures in separate album. There is also an option to upgrade the app that makes it convenient to back up unlimited files and set up a decoy password. 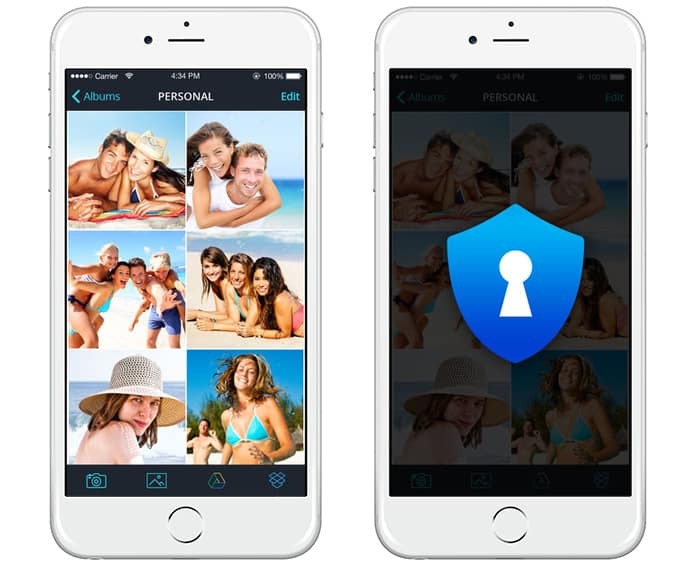 “Keep Safe” utilizes the pin code security to protect your photos and videos. It even creates a slideshow presentation of your pictures which can be shared on social media platforms as well, i.e. if you disable the protection mode. 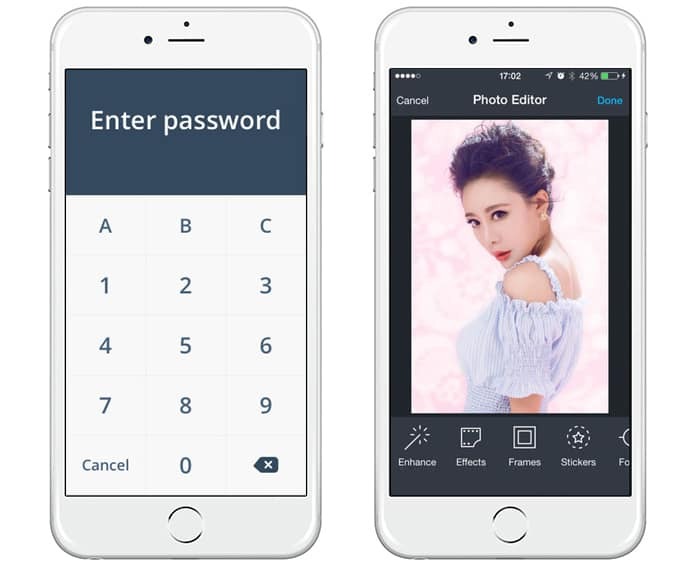 Although, the iVaSecret Key Lock Album is a little costly compared to its free counterparts but the ability to provide multiple security mechanism makes the app stand out from the crowd. 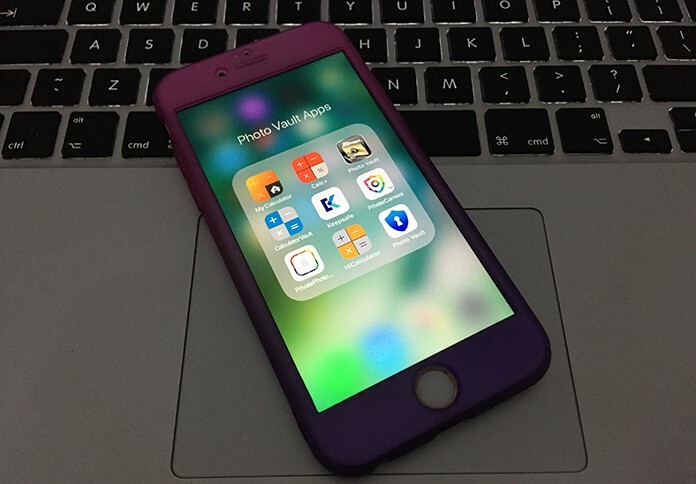 Apart from the password protection on files, the iPhone owner can access the picture as well as the GPS location of the intruder through the app. The file manager is also easy to use and allows users to conveniently share files on various social media platforms. Additionally, the Secret Key Lock Album supports all files including .doc, jpg, gif, png, mov, mp4, mpv, etc. My Photo Safe Pro app is one of the best photo vault apps for iPhone. 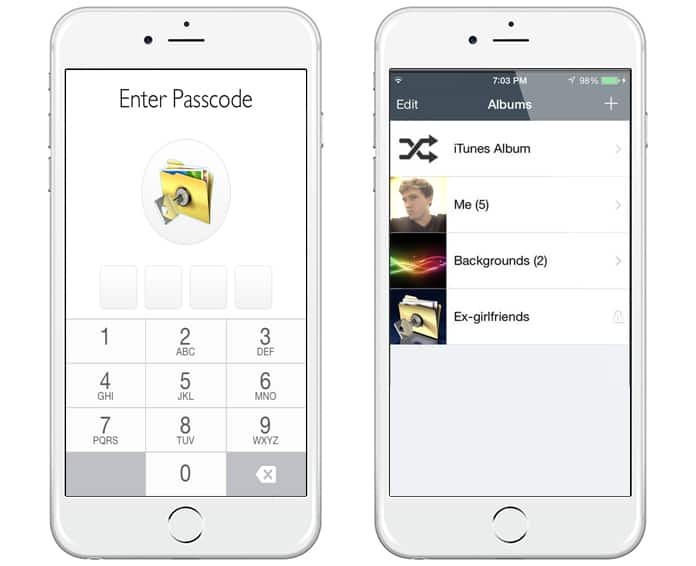 This app has a dual password policy which provides the users with enhanced security over their data and photographs. The app comes with an option to upload multiple pics in one go. The best thing about My Photo Safe Pro is that it retains the quality of your pictures. Third-party photo-saving apps such as Drop Box, Google, and One Drive can also be integrated with My Photo Safe Pro for increased protection. Photos can also be converted into PDF format through this app and it will cost you only $0.99. A great alternative to the stock app already installed in your iPhone. Apart from taking high-quality photos, the app allows convenient way to sync pictures to your iCloud account which can be later shared with close acquaintances if desired. Another file protector in disguise of a calculator app, the Secret Calculator Vault does a very good job of hiding your pictures and other vulnerable data. 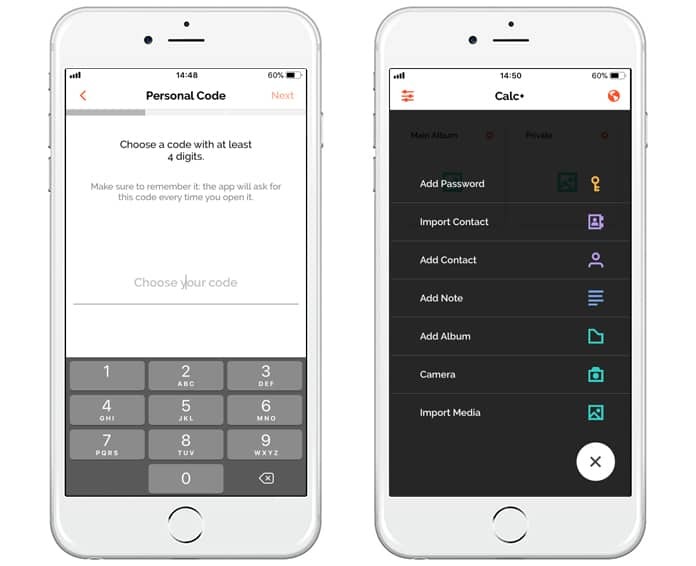 The premium version of the app also has an option to integrate an additional password for maximum protection. 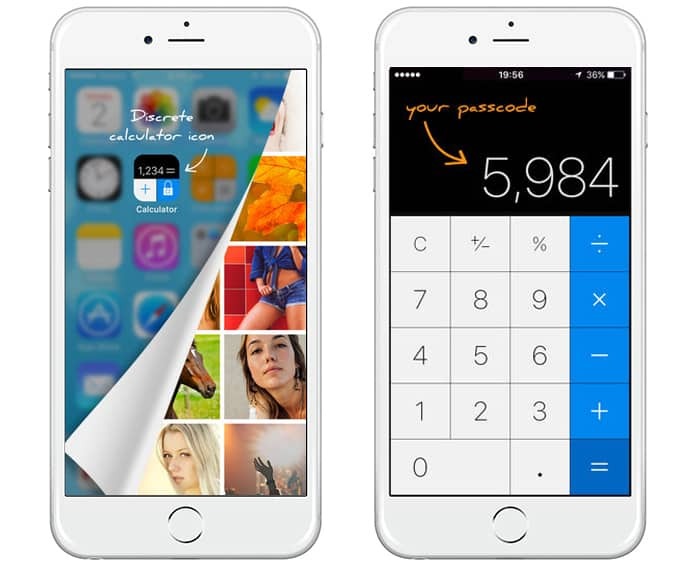 Which Photo Vault App Would You Choose? These were just some of the best photo vault apps for iPhone. Most of them are free while a few charges a nominal fee but they do come with advanced features. Select the one according to your requirements and keep your private life from the prying eyes of all those who go through your mobile. Good luck and do let us know which one is the best amongst the top 10 mentioned above.